A long term look at the Hang Seng Stock Market Index in Hong Kong. A 10 year bear market ended in 2009. Since then the index has been displaying a number of one and two waves. A larger rally in the Hang Seng Index that we have labelled wave '(3)' of a wave '5' is in the early stages and should last multi years. 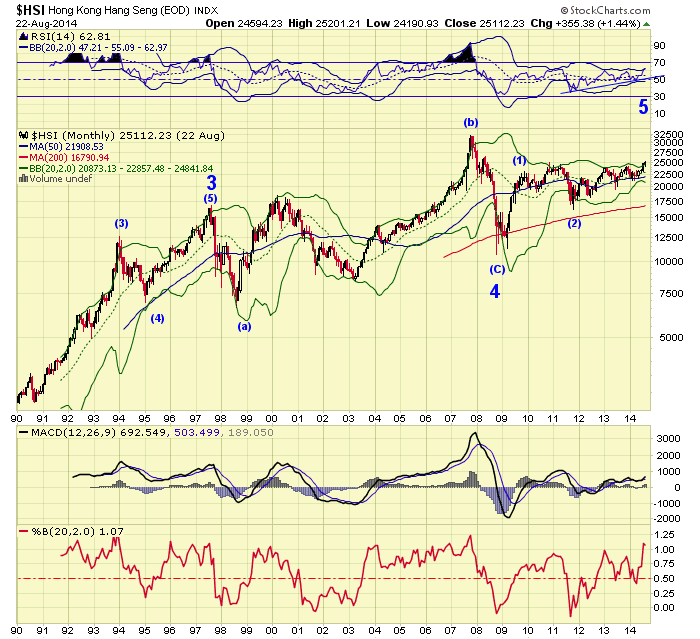 Some Elliott Wave labelling related to the even larger structure of the Hang Seng Index is omitted from the chart.